1992. Watercolor, ink, color pencil. 6½" x 8"
Ever since I was a child the condition of the environment has been a concern for me; sometime in he late 70s I acquired a t-shirt emblazoned with the green ecology flag designed by Ron Cobb, which I wore with great pride. 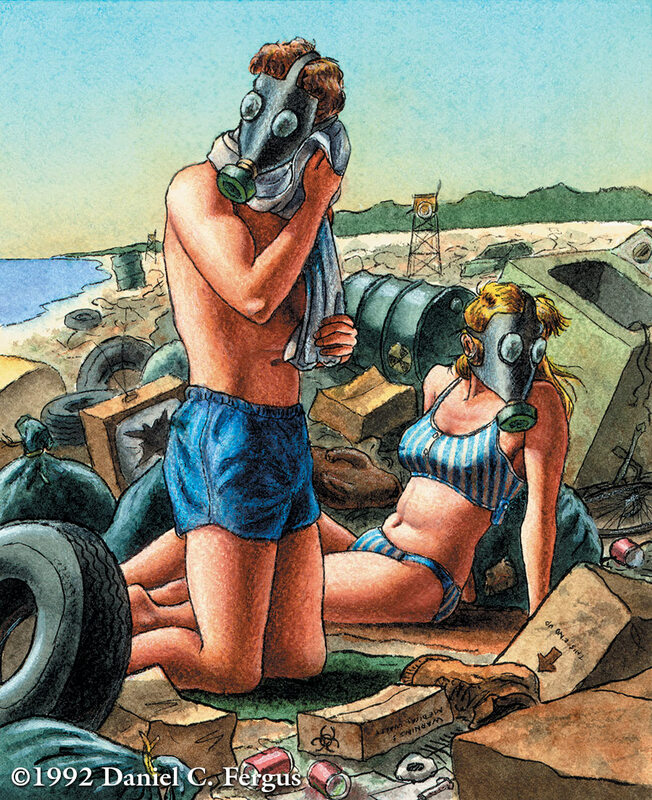 In the late 80s and early 90s, the media were filled with stories of garbage and medical waste washing up on beaches in places like New Jersey, which was close to where I had lived. I decided to do an illustration that carried this phenomenon to its logical end, a glimpse into a possible future.